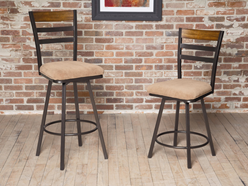 From outdoor products to home furnishings, Brian’s has something for everyone! Our outdoor courtyard is filled with many different rust-free cast aluminum products. 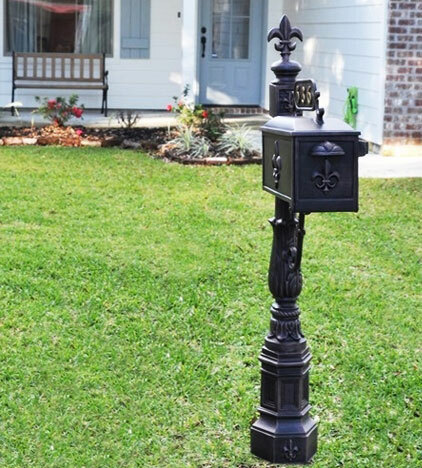 From mailboxes and monkeys, to planters and patio sets, the choices are nearly endless. 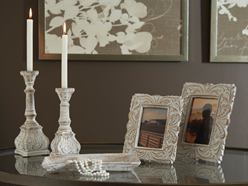 We offer a huge selection of home furnishings ranging from well-known brands to unique, one-of-a-kind pieces. Come see the difference at Brian’s! 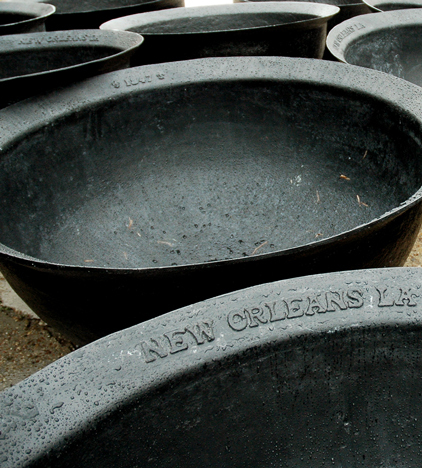 With hundreds of Louisiana-style cast iron and fiberglass sugar kettles in stock, we have the largest selection in the south, we’ll ship them anywhere. Thanks for visiting our website, but don’t stop here! 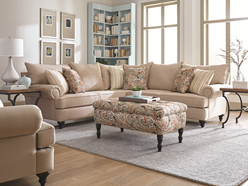 We invite you to visit our city-block-big location to get the full Brian’s Furniture experience. 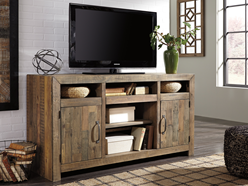 We’re proud to say that we aren’t your average furniture store, and we hope you will see that through our history and through the unique products that we offer. ✔ Three unique locations to shop within one city block. ✔ The largest selection of cast aluminum products in the South! ✔ Huge in-stock selection of cast iron and fiberglass sugar kettles. 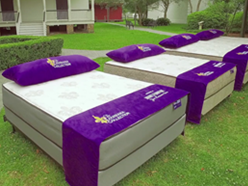 ✔ We ship our outdoor products anywhere in the United States. 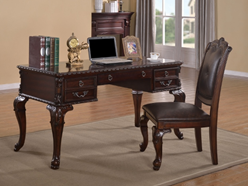 ✔ Well-known furniture brands in addition to many one-of-a-kind items. ✔ We are a city block big in the heart of historic downtown Port Allen. ✔ Family owned and operated business, now run by the second generation. 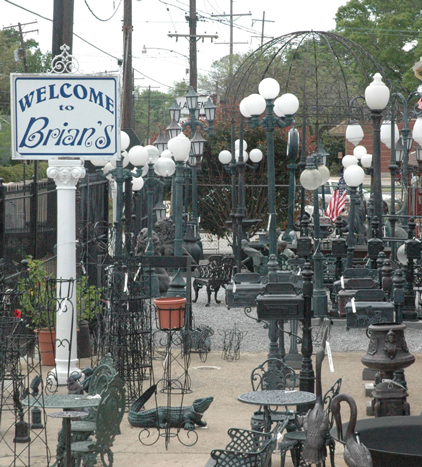 Brian's Furniture in historic downtown Port Allen has home furniture, art and the largest selection of cast aluminum furniture and fixtures in the South!